Comment: About 1800 sq. ft. residence in Victoria, Texas. 2 adults 2 dogs Existing water well and septic. Need water softener and possibly water filtration [used to smell of sulfur but for last 5-6 years no longer smells]. Would need install and any required major maintenance work after installation. Could be cash or finance depending on coast. Comment: I would like to get an estimate for - I have a home purchased water treatment system and needs to be replaced. 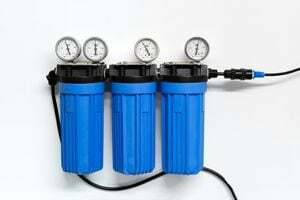 Comment: Replace a water softener. Out with old and in with the new. Comment: looking for a bid to install a Whirlpool 33,000-Grain Water Softener from Lowes. This unit will replace an existing unit that is no longer functioning and not repairable. Victoria Water Treatment Companies are rated 4.56 out of 5 based on 13 reviews of 3 pros. Not Looking for Water Treatment System Contractors in Victoria, TX?